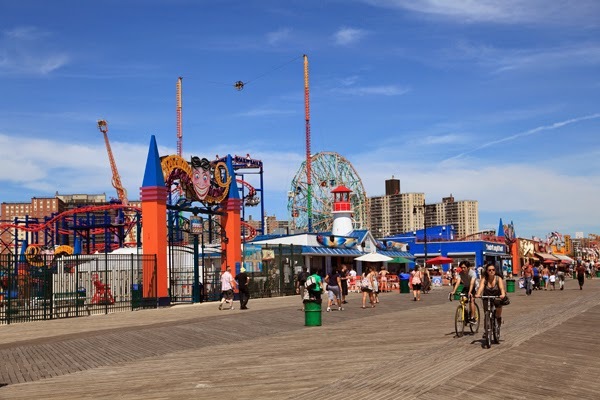 Coney Island is the quintessential New York attraction, from the beach to the boardwalk to the rides at Luna Park. The scenery and atmosphere are what makes this run special. For a stretch, there’s a carnival atmosphere with all the smells that bring back memories of childhood. Best of all are the funnel cake or original ‘Nathan’s Famous’ hot dogs post-run. Take the D, F, N, or Q Train to Coney Island-Stillwell Avenue. If you are taking the train or parking in the lot near the Coney Island attractions, you’ll be starting this boardwalk run in the center of all the action. This boardwalk is approximately 2.5 miles from end to end or about 5 miles run out and back in each direction.